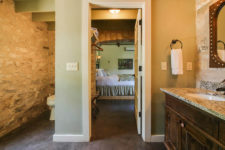 Immerse yourself in Fredericksburg’s history during your visit by staying at our Tank House. 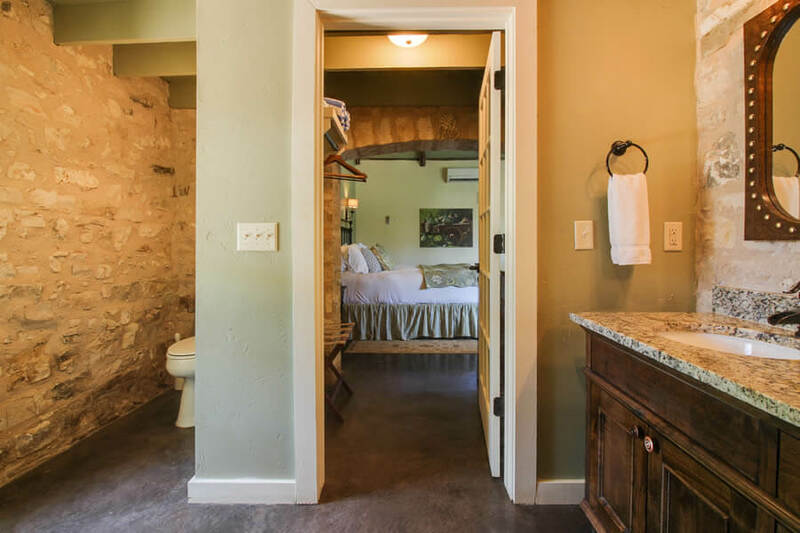 One of the most unique suites at our Fredericksburg, Texas bed & breakfast, the Tank House was literally built from an original water tank house on one of the town’s oldest properties. 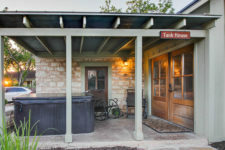 Before modern conveniences of electricity and public water mains, residents used this tank house to supply and store their own water for their house and garden. 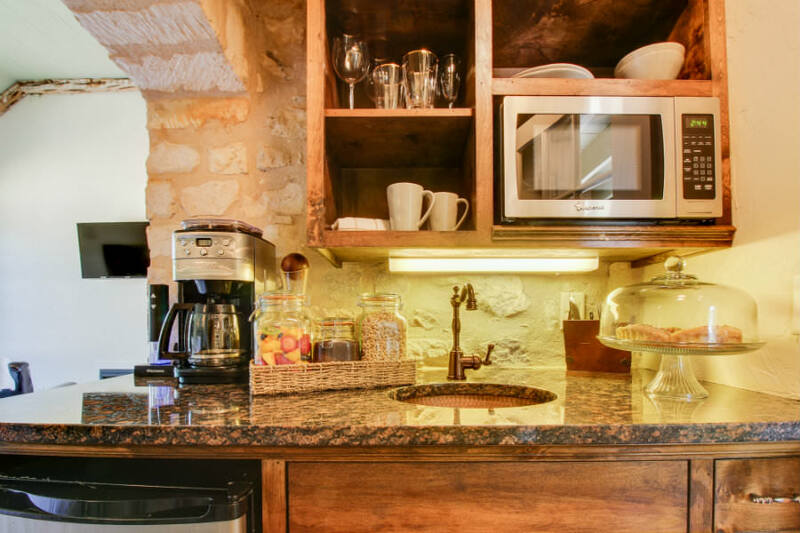 When it was used for its primary purpose, this tank house functioned using a windmill and a hand-dug well. 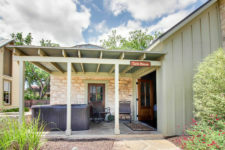 The windmill pumped the well water into the tank at the top of the tank house, so the water could run down to the house and garden. 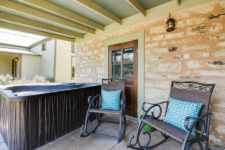 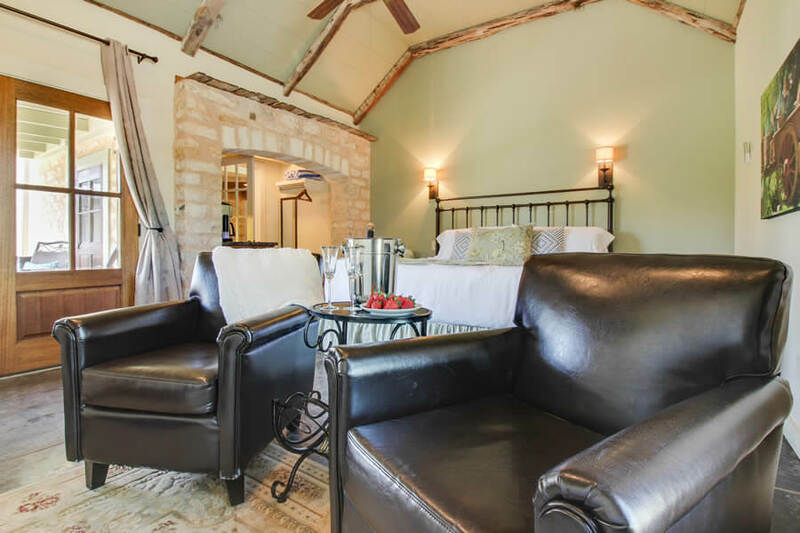 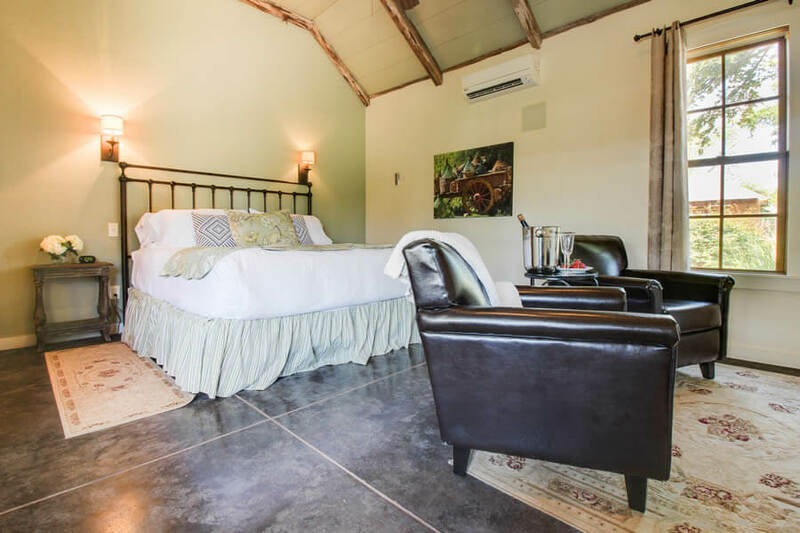 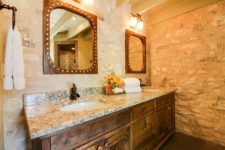 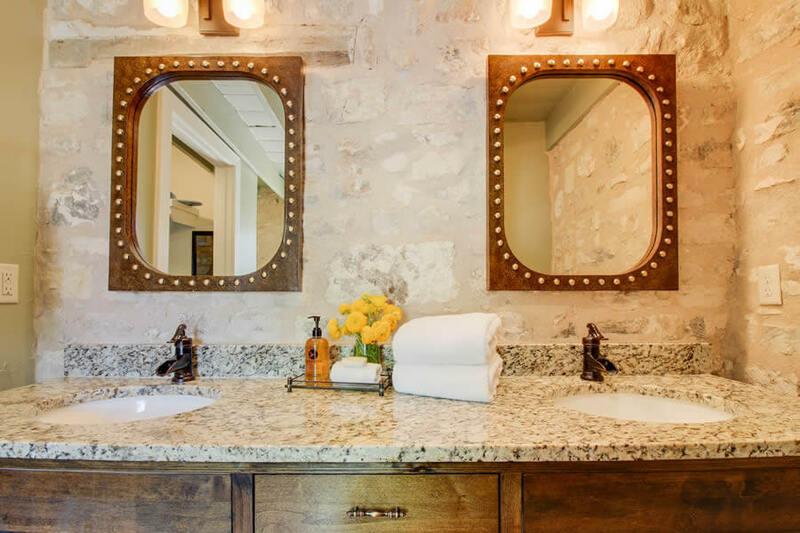 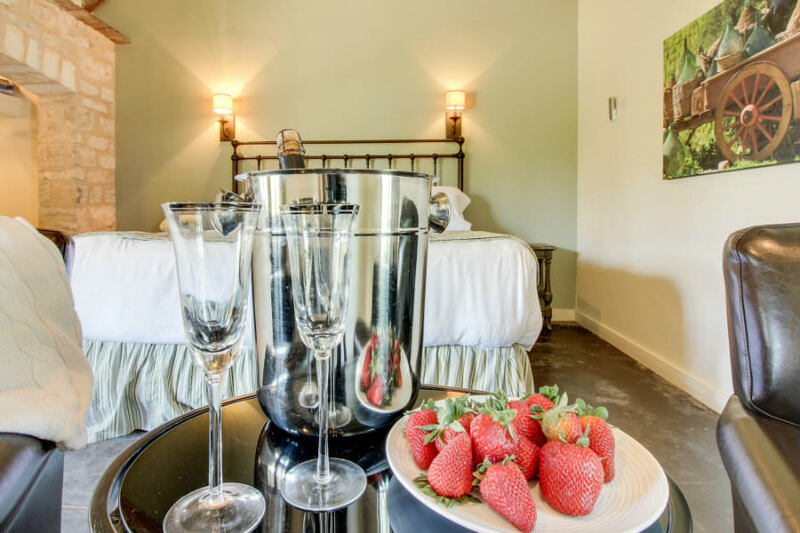 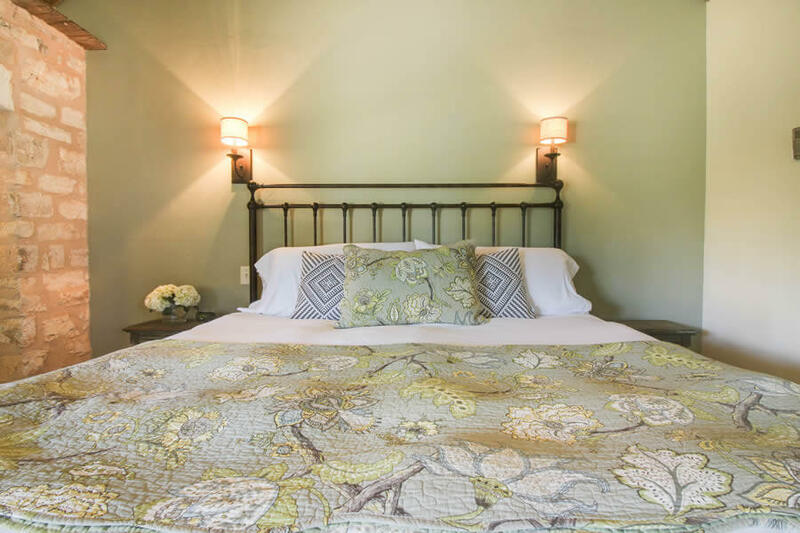 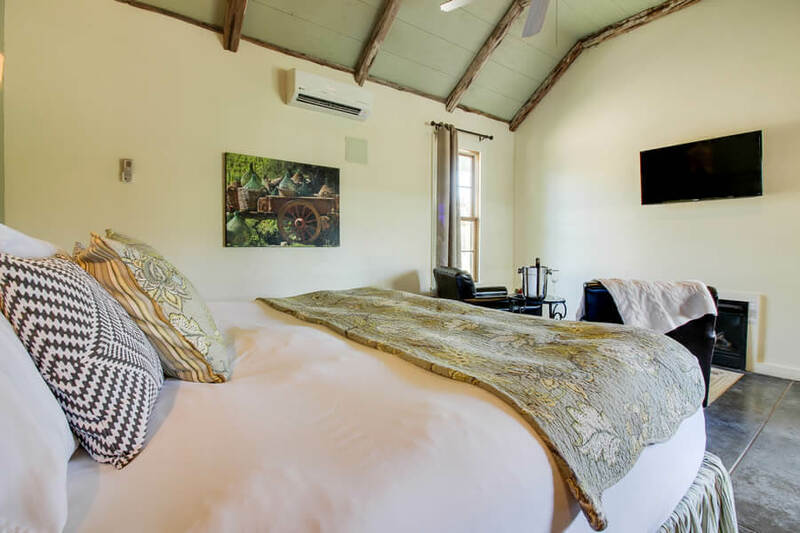 Our Tank House has been restored and updated with modern amenities and beautiful stone masonry to serve as your little bed and breakfast paradise in Texas. 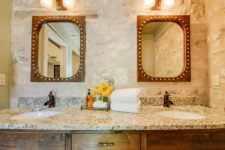 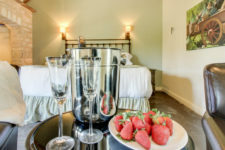 Click here to view all our luxury amenities. Like all of our vacation cottages, The Tank House is located right on Main Street in Fredericksburg. 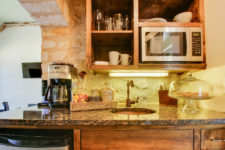 You will be amazed by the many local galleries, delicious restaurants and shopping opportunities during your stay in Fredericksburg, TX. 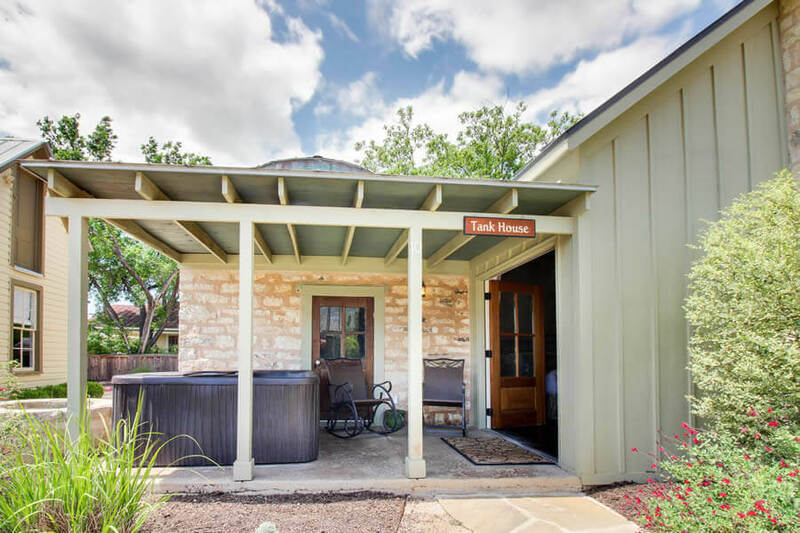 Book your stay at the Tank House today!